These 3 items are found in the same room as the quest giver (as indicated by on map below). Return to the quest giver and turn in these items. 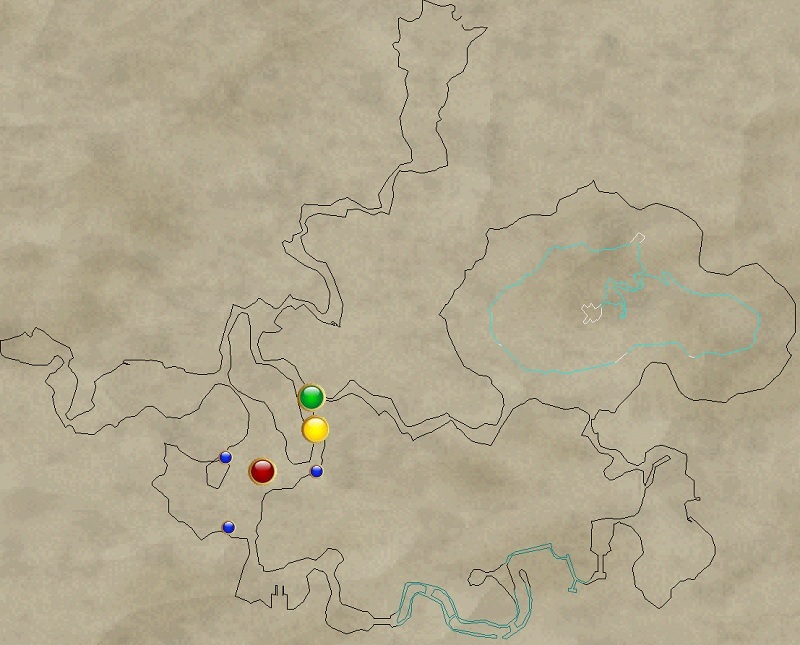 This update is received by standing near the two glowing blue stones (as indicated by on the map below). Hail Ylatra for task completion. She is located just past the Crystal Gateway (as indicated by on the map below)..